A year ago, India launched its first ever National Air Quality Index (NAQI), acknowledging the problem of rising air pollution in many cities. Despite being in operation for a year, complete data from NAQI is not published regularly. Also, not all real-time monitoring stations are used. NAQI alerts the administration and the public about an impending health emergency due to dangerous air quality, equipping the regulator and motivating the public to take stringent measures to reduce exposure to air pollution. This is even more important today as Indian cities witness rapid industrialisation and urbanisation. Delhi-based non-profit Centre for Science and Environment (CSE) analysed data published by NAQI daily on the website of the Central Pollution Control Board (CPCB) for a period of eight months from January to August 2016 for 10 major cities. These cities were selected on the basis of the online reporting system as well as the number of days the data is published on the CPCB website. CSE found that data from all real-time monitoring stations in a city is not used. Seven out of 10 major cities use only 25 to 60 per cent of their real-time station capacity for reporting AQI. These seven cities include Mumbai, Hyderabad, Delhi, Chennai, Lucknow, Kolkata and Bangalore. Ahmedabad, Jaipur and Pune are the only cities which use their complete capacity to publish AQI as they all have only one monitoring station each. It is possible that not all stations in the seven cities are in working condition. The data from some stations could also be fudged. CSE also analysed the number of days AQI was published on the CPCB website. We found out that in eight months, AQI was not published daily for all the cities. Delhi’s AQI was published for the highest number of days. Cities like Mumbai, Pune, Jaipur and Chennai did not publish data daily and the total number of days for which data was available for these cities was less than 80 per cent. 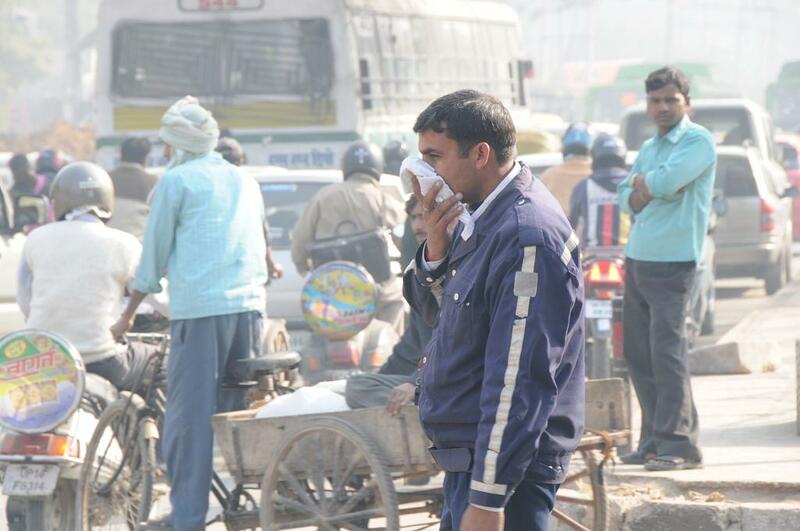 Ahmedabad and Kolkata did not publish AQI data for three months—January, February and March. Even during other months, data is available for only a few days. Again, it is possible that the monitoring stations in these cities are not working properly or are unable to produce data on a regular basis. Stations must undergo proper inspection and maintenance so that they can project accurate values. A CPCB official confirms that not all values from all the stations in a city are used for computing the AQI value of a city. He says it is because of power cuts, delay in publishing of data and lack of maintenance of stations. The health advisory should be published daily and observations of all the stations should be taken into consideration while calculating the AQI value of a city.